>Oh, Satan. You and your infatuation with the world of music. Where would we be without you? Drowning in Cliff Richards and Country & Western Hell, that’s where. Except it wouldn’t be Hell, because there would be no Satan. Ah, the complexities of serious theological debate. Speaking of which, Today’s New Band, Eyes and Teeth, has been engaging in a furious conversation with a devout Christian on his Myspace page. This appears to be partly fuelled by the apparently devilish nature of his music – have a listen here. Whether Eyes and Teeth actually buys wholeheartedly into Satanism, or that it’s just that he enjoys baiting religious-types, isn’t really the point – reading the concerned and righteous indignation of the Christians who post on his page whilst listening to the Satanic music is a enjoyably ironic experience. 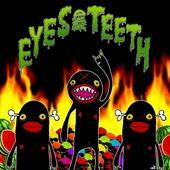 Eyes and Teeth’s music is enjoyably dense, layered with sampled speech, manipulated swooping sound and, in the case of the song Seduction, interspersed with samples of the Rolling Stones, David “D-Bo” Bowie and NERD. Germany and Gun To Your Head allow you to have an echo-drenched electro devil-strut through songs Satan would play in his pimped out low-rider, assuming he has one (and let’s face it, he probably does). The sounds are allowed to echo around in the hell-chambers and, out pops a ‘sonic sculpture’ as opposed to a song. Awkwardly snooty descriptions aside, listening to this song made me realise that in some respects, the songs are pitching in the same direction as Boards Of Canada on their brilliant Geogaddi album – slightly mesmeric, partly Satanic, partly subliminal message brain-confusers. Fun, satisfying and a guaranteed* one-way ticket to Hell! *the word ‘guarantee’ is not used here in its usual meaning. Posted on May 19, 2008 by Joe Sparrow. This entry was posted in Today's New Band and tagged SATAN, subliminal messages, theology. Bookmark the permalink. Eyes approve of this message!